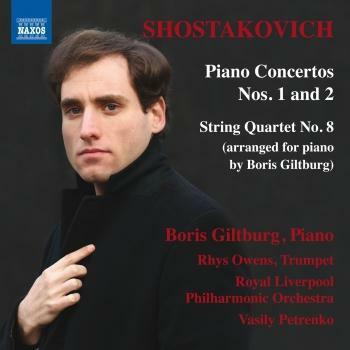 Born in 1984 in Moscow, Boris Giltburg began his piano studies with his mother at the age of five. He has lived in Tel Aviv since early childhood, where he studied with Arie Vardi. He has received many awards for international competitions, notably at Santander (top prize and Audience Prize, 2002) and the Rubinstein (2nd prize and Best Classical Concerto, 2011). In 2013 he received First Prize at the Queen Elisabeth Competition in Brussels, as a result of which his already flourishing international career has been catapulted to a new level, with a packed diary of additional concert engagements across the globe. In the same year he was nominated for a Classic Brit (Critics’ Award). Since his breakthrough appearance with the Philharmonia in 2007, Giltburg has been an annual visitor to the Royal Festival Hall in London, and made his BBC Proms debut in 2010 with the BBC Scottish Symphony. Last season he made his first concerto appearance in the Amsterdam Concertgebouw, with the Netherlands Philharmonic Orchestra, and gave his London Philharmonic debut. He is a popular guest with many UK orchestras and has also appeared with DSO Berlin, Frankfurt Radio Symphony, Orchestre National du Capitole de Toulouse, Royal Flemish Philharmonic, Swedish Radio Symphony, Danish Radio Symphony, Prague Symphony, to name a few. In autumn 2013 he plays for the first time at the Vienna Musikverein and debuts with the St Petersburg Philharmonic. Giltburg made his debut with the Israel Philharmonic in February 2005, and regularly appears with all the major orchestras and in the leading recital series in Israel, as well as playing chamber music with members of the Israel Philharmonic. Having toured the USA as a teenager with the Israel Chamber, he made his North American orchestra debut in 2007 with the Indianapolis Symphony. In January 2014 he appears with the Seattle Symphony, and in 2015 with the Baltimore Symphony. He made his Tokyo debut in 2005, toured China for the first time in 2007, returning to give a recital at the NCPA in Beijing last season, and he played with the Hong Kong Philharmonic in 2010. He has toured South America several times every season since 2002. He has collaborated with conductors such as Alsop, Brabbins, De Waart, Dohnanyi, Entremont, Fedoseyev, Neeme Jaervi, Karabits, Krivine, Lintu, Luisotti, Petrenko, Saraste, Segerstam, Sokhiev, Soustrot, and Tortelier. Giltburg has played recitals to audiences across Europe in major venues such as the Amsterdam Concertgebouw, Vienna Konzerthaus, Munich Herkulessaal, Paris Louvre, Zurich Tonhalle, Wigmore Hall, Teatro San Carlo in Naples and Madrid Sony Auditorium. Festival appearances have included the Klavierfest am Ruhr, Schwetzingen, Luzern, Piano aux Jacobins and Cheltenham. Highlights of 2013/14 include recitals at the Leipzig Gewandhaus, Brussels Palais des Beaux-Arts, and a return to London’s Southbank Centre (International Piano Series). 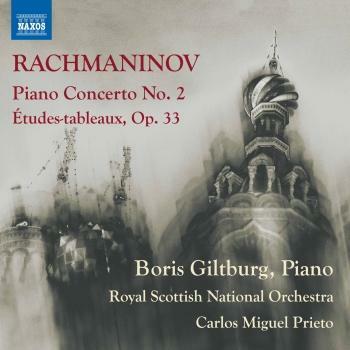 In August 2012 Giltburg released the Prokofiev ‘War’ sonatas on the Orchid label to excellent reviews worldwide, and appearing in Gramophone as ‘Editor’s Choice’: “These performances of Prokofiev’s three ‘War’ Sonatas eclipse all others on record – even those tirelessly and justifiably celebrated performances by Richter and Gilels” (Gramophone, October 2012). For his next CD release (September 2013) he has recorded sonatas by Rachmaninov, Liszt and Grieg.